The return of Marvel Legends in 2012 brings an interesting twist for Wave Two. We already knew that we were getting a New Captain America (Bucky), and we still are, he’s just been moved to Wave Two. We will also be getting a Daken (Wolverines son in the Dark Avengers look.) with a removable mask, Drax, “Big-Time” Spider-Man in the black and green costume, Thunderball from the Wrecking Crew, and Madame Masque. The Build-a-Figure for this wave will be… Arnim Zola! So, here’s the twist… Thunderball and Madame Masque will both have running changes to Piledriver and Madame Hydra respectfully. They will also come with different BaF parts. A Red Skull head and a different chest piece. Although this still won’t be comic-accurate, because of the orange colors in the lower torso, you will still be able to build the Red Skull version of Zola as well. Pretty cool, I guess. I mean, you will still have to buy seconds of the other characters, if you want to build a separate Red Skull/Arnim Zola. I still haven’t heard if this running change is going to be a common practice going forward or, if it’s only going to be for Wave Two. I like that they are doing a classic fan-requested villain figure for the BaF with Arnim Zola. We just don’t have enough villains in Marvel Legends yet, in my opinion. He’s been featured in Avengers: Earths Mightiest Heroes too, so the younger generation will be familiar with him as well. I also don’t mind another Spider-Man, as long as it’s a costume we don’t already have. I don’t mind the Bucky Cap either. 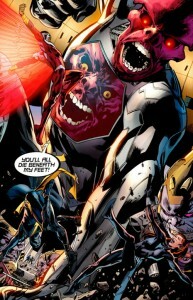 Drax is also going to be awesome in his Annihilation look, although, I would have preferred a classic version first. I also think the running change for Thunderball/Piledriver and Masque/Hydra are cool in that we get a second character out of each. I was planning on going the order mine on-line route though, so that still makes me have to get out and hunt for the running changes, which I was hoping to avoid. The MSRP is going to be $14.99 each. I suppose that’s the new trend. No more $10.00 6-inch figures in our futures. So what do you think? Are these first two waves enough to spark the Marvel Legends fever again for you? Hasbro still has a few issues, but they're definitely moving in the right direction. The sculpts alone are way more comic booky than they were when Hasbro first took the line over. And finally they are releasing old school villains!! 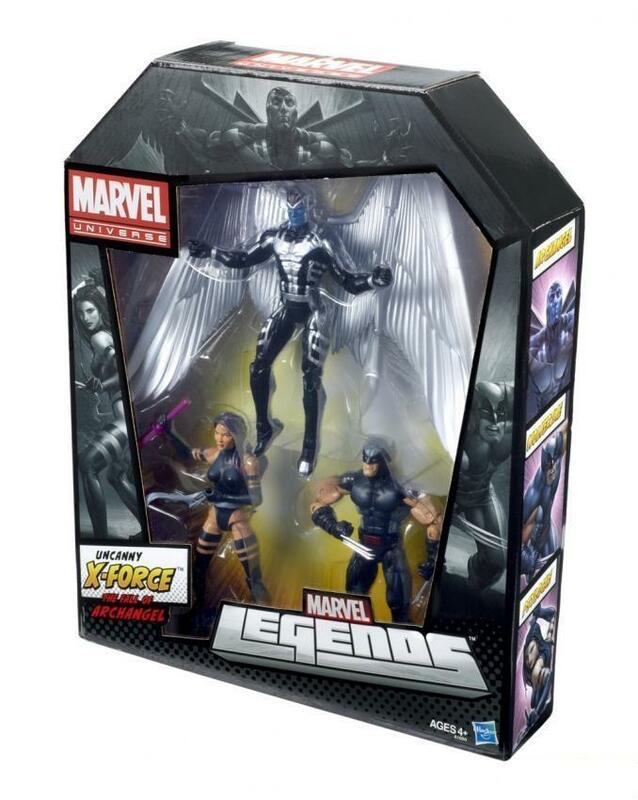 I'm loving the fact that Marvel Legends are making a Return… I'm loving that they went with a wider character base for the initial selections as well, however I am a bit disappointed to be honest in that there are only 1 X-man character in the first 2 waves. Hope Summers, while a great addition, isn't exactly what I was hoping for in my collection. Either way I'm stoked for the re-boot! So much so that I started perusing E-Bay again for the few characters I missed the 1st time around. Hi TripleHBK! I am really excited for Marvel Legends to become as popular as Marvel Universe has for them. They have been doing pretty well with having X-Men regularly in the Marvel Universe line, so I have a feeling we'll be seeing some in Legends before 2012 ends. I'd like to see Nate Summers sometime soon too. So you are you trying to complete your Toy Biz ML or Hasbro ML? Both and neither to be honest… I've always been a fan of the X Universe stuff, so for me I tend to pick and choose what I buy. If the character has appeared in an X-book regularly, then I usually pick him up. So back when Exiles was an ongoing series I was buying all sorts of non-traditional characters. My original comment was referring to some of the figures I just never picked up for whatever reason, plus some of the newer additions to the X-men series (such as Namor). I'm hoping with this reboot we get more characters to flesh out old 90's era x-books plus I'm hoping the alluded to, but never released versions of Modern Havok, Llandra, Polaris etc eventually show up as well. I'm just curious about how other people collect. So, what do you do when there is a X-related BaF? Do you buy the whole wave or do you get your parts from E-Bay? I'm also hoping that we can complete some more teams this time around. They seem committed to completing the Wrecking Crew before the end of 2012, so maybe they've realized that is important to us. You may get a chance to catch up on some of those figures if Hasbro releases some of them again as "Greatest Hits." Thanks for the info on the other Fan's Choice figures! (We must have been looking it up at around the same time. lol.) I had forgotten all about 1st App. Storm, Aurora, Gambit, Lilandra, Magneto, and Northstar. Maybe those will all be done sometime down the road too. True! I would have thought Silver Samurai would have made the cut since they already had a prototype made (from the first vote) and it sounds as if he's the villain in the next Wolverine movie. He was shown for the Fan's Choice two-packs, right? I hope they don't wait for the movie before they release him. I'm stoked for all the classic villains that are planned for next year! It's about time Hasbro started bringing on the bad guys! There are only so many versions of Iron Man's armor I need in my collection (thankfully Destroyer was the variant to Thor Buster Iron Man). I was actually surprised that Hasbro didn't fall back on almost any of the prototypes created for the vote in 2009 (I think Constrictor is the only one they used). There were a lot of great figures made for that vote, so I think it's a good sign that they took the time to create all new characters for this next round. I'd have to admit Arnim Zola is my favorite to come out next year. The face on the chest always creeped me out as a kid! I like to pose my figures in battle, for the most part, and there just aren't enough villains to go around currently. BiBeast, Brother Voodoo, Fantomex, Lady Bullseye, Nuke, Terror, Inc., The Hood, Havok, Ms. Marvel, Multiple Man, Bag-head Spidey, and Phoenix were the ones that didn't get picked in the Fan's Choice Poll. I don't know if any of those are in any of the current story-lines in the comics though.